Firecracker and Batbuster Cousins With a Common Goal- Family. A few weeks ago I sat within the stands of a high profile fall game showcasing the Batbusters and the Firecrackers. It’s pretty rare to see a game like this, especially this time of year, but what’s even more unique is seeing four members of the same family, competing together on the same field. Two on one side, two on the other. 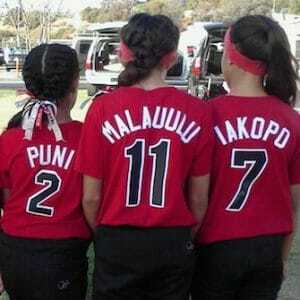 Thessa Malau’ulu and Myah Iakopo for the Firecrackers, and Tiare Jennings and Zaida Puni for the Batbusters. Their interactions were playful and competitive but you had the sense that it was more meaningful, and it really is. In the Polynesian culture, the family isn’t just last names and tree branches, there is a deep sense of love and loyalty. Thessa, Tiare, Zaida, and Myah’s families lived close to each other but ironically their worlds collided on the rec ball field at about 5 years old. 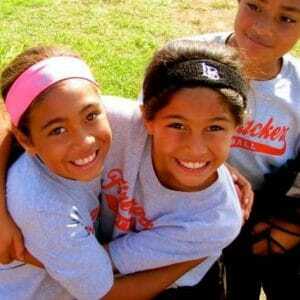 They connected through the “fun” of the game but the most impactful experience the girls faced together, was the unexpected passing of Tiare’s 5-month old brother, Kalaea, to SIDS (Sudden Infant Death Syndrome) in 2007. Tiare and the girls were 6 years old at the time. The families came together in support of the Jennings family and through yearly Kalaea Christopher Jennings memorial festivities benefiting First Candle, an organization that honors babies lost to SIDS, the cousins began to form lifelong memories and a special bond resembling sisterhood. 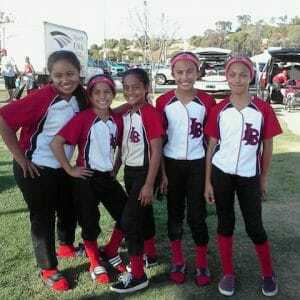 A few short years later when Myah, Thessa, Tiare, and Zaida were almost 10 years old, the families saw some very obvious athletic potential in their little softballers and decided to test the travel waters. That year they joined their first 10u Firecracker team that would go on to win ASA Western Nationals and ASA Nationals in Kentucky. “The rest is history,” sounds like it could be an appropriate transition at this point but this story is far from reaching an end. 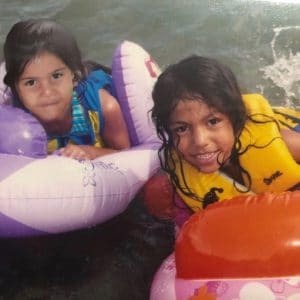 Although it was apparent at a very young age that these ladies had a future in softball, if that’s the route they chose, the foundation of family-first was laid early and remained at the center of their very driven and successful journeys. Myah, who was a year ahead of the others, had joined the older 10u Firecracker team for her first travel experience but after the year decided to hang up her cleats “for good.” Looking back she said, “Being the second youngest of seven children helped guide me with time management and my main focuses being God, Family and my education. 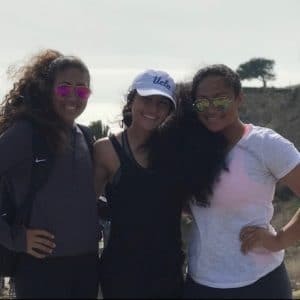 Softball is just an extra-curricular activity that I so happened to love and enjoy.” However, Myah would eventually return to the field to re-join her older sister, Mary (at the time en-route to Oregon) where they would go on to win a high school championship together. Seeing the hard work and dedication Mary, her older brother, London (Louisville Football), and her parents, inspires Myah as she anxiously looks forward to new opportunities that will inevitably come her way in softball and life. Following that one special 10u Firecracker season, Thessa decided to take a year off softball to pursue soccer full time. She returned the following year, joined a 12u Firecracker team, and remained committed to softball from then on. She currently plays on Firecrackers Rico/Weil along with Myah and says her hard work and dedication is a product of those she surrounds herself with, including her siblings and cousins. “My motivation is that there is always someone out there working harder/better than me. I use that mentality in the classroom as well.” This strong work ethic and dedication to family has been in her blood for a very long as Thessa’s father, George, started the Aiga Foundation and leads the long-standing Polynesian Football All-American Bowl as well as the Polynesian All-American Girls Softball camp which will be held this December 28-29 in Southern California. Giving back has been a staple in Thessa’s life and has kept her humble and grounded. Although she had several D1 offers has decided to stay close to home giving her verbal commitment to UCLA. 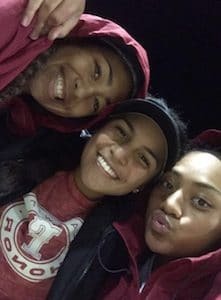 Zaida and Tiare went fast and steady down the softball track remaining Firecrackers for one more season before joining the Batbusters organization where they have been ever since. The young stars made waves early contending for championships year after year. 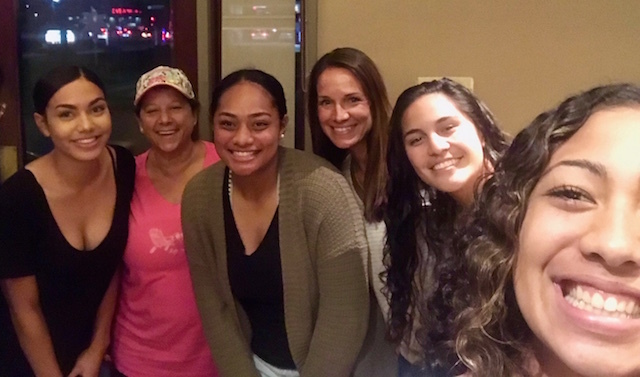 One of Tiare’s fondest softball memories was winning six straight elimination games in the 2018 PGF Nationals to make it to the Championships. “Playing six games, with my best-friends was absolutely the best day of my life. 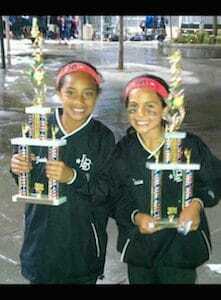 I remember clearly each and every game we played that day and all the memories will hold a special place in my heart.” This incredible mindset also helps Zaida and Tiare pave the way for their younger sisters who are in the Batbusters organization (Mark Campbell), and both agree, their sisters are better at that age than they ever were. Talented, mature, and poised, Tiare gives all the praise to her family saying, “Without my family, I would be nowhere near who I am today. Each and every family member has shaped me into who I am today and always supported me through everything. 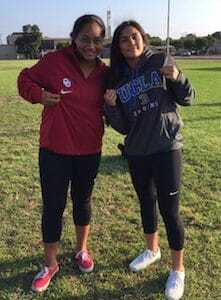 I can’t thank them enough for all that they do for me.” Despite several persuasive offers, Tiare and Zaida have both committed to the University of Oklahoma. With this amount of talent in one family, you should expect to be “regulars” at the biggest games in town, but watching six of your loved ones win a championship in one day? It happened. Two years ago Tiare, Zaida, Thessa, and Thessa’s older sister Chloe (now at Mississippi State) won the CIF Division 6 Championships with St. Anthony’s High School just hours before Myah and Mary won the CIF Division 1 Championship with Los Alamitos High School. This unforgettable experience is one of the most memorable to date but only one on a long list of past and future events that will no doubt bless this family with lifelong memories. Over dinner, it didn’t take long to sense how special this family was. Four unique journeys running parallel but always finding ways to bring it back home. The way the girls are able to articulate the support they feel as they looked to each other to finish answers or share stories about growing up, high school life, future aspirations, and family dynamics is refreshing. They are truly a special group. Their love for one another is so authentic you’d almost forget they’re as good as it gets on the field as well. 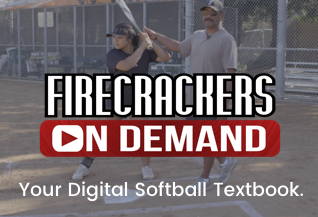 Now, that Tony Rico and Mike Stith have created BBFC Events, there is yet opportunity for these cousins to work alongside each other to share their love of the game to young Firecrackers and Batbusters. Different uniforms but the same team. Tiare– We are related through marriage. Our Salima side to Tiare’s grandma (Uncle Nacio’s mom).